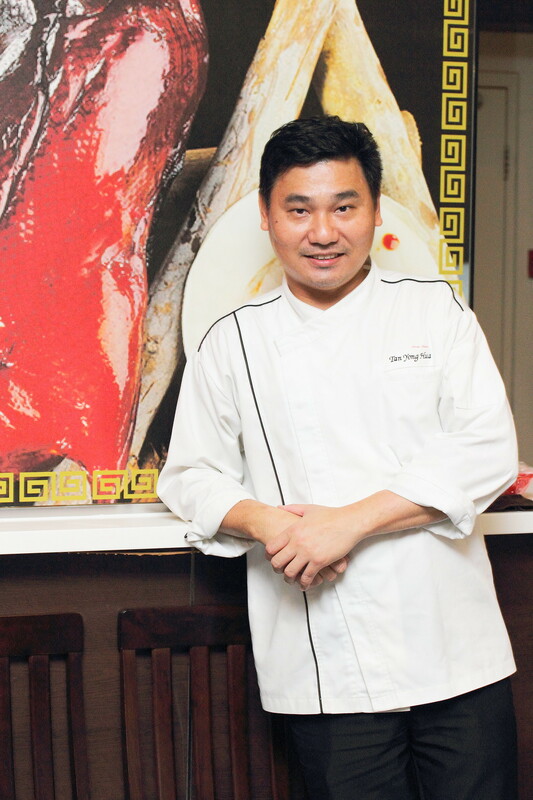 Celebrity Chef Tan Yong Hua is no stranger to the culinary scene having appeared in many TV programmes. He is also known to be the first Singaporean to trump the Iron Chef Thailand. Having helmed the kitchen at Peach Blossom, Sze Chuan Court, Pearl River Palace and Lingzhi Vegetarian Restaurant, Chef Tan has decided to venture on his own and opened Restaurant HOME (家) at the rail mall. 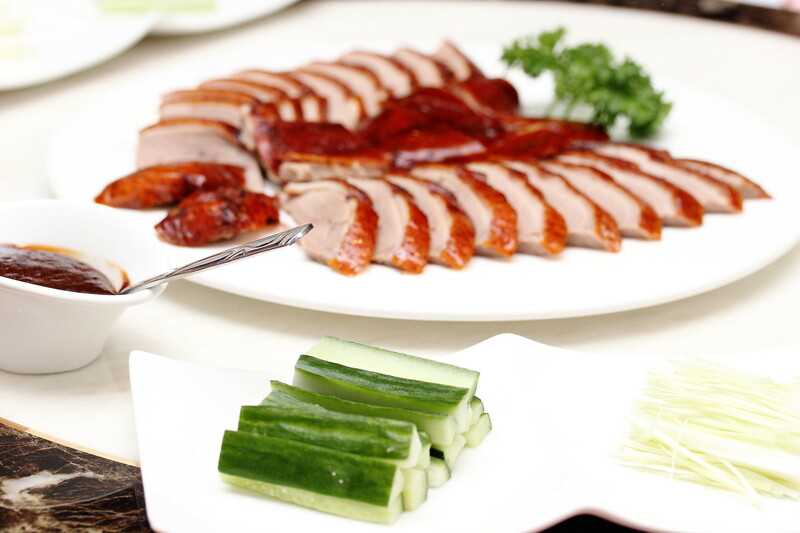 Restaurant HOME (家) is popular for its Barbecued Peking Duck Roasted with Lychee Wood ($68 whole duck). 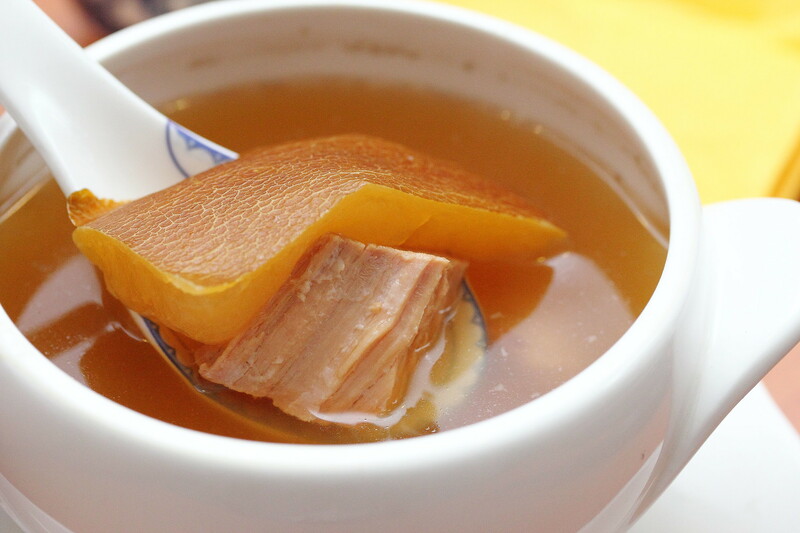 There is three ways to enjoy this delicacy. We started with the roasted skin that is extremely crisp with a slight hint of the lychee wood aroma. Dip it into the specially prepared sugar dip for a different but much welcome appreciated of the delightful crispiness. 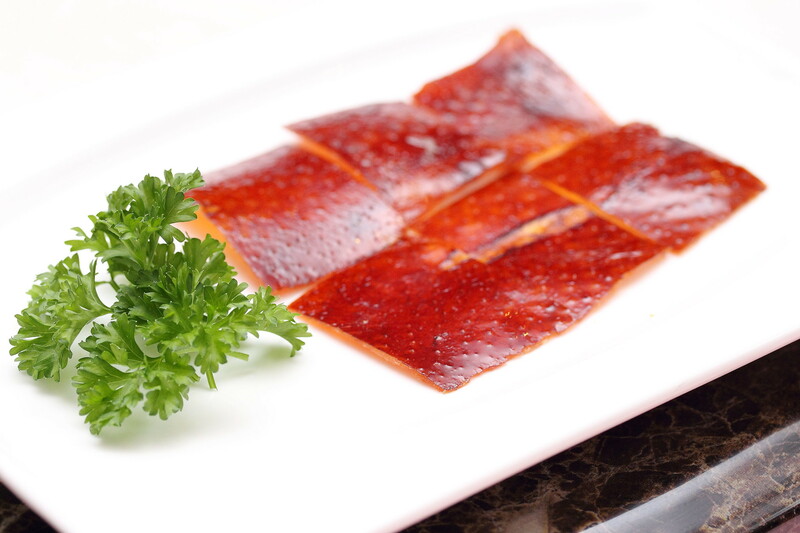 The second way to enjoy the Barbecued Peking Duck Roasted with Lychee Wood is in a wrap. 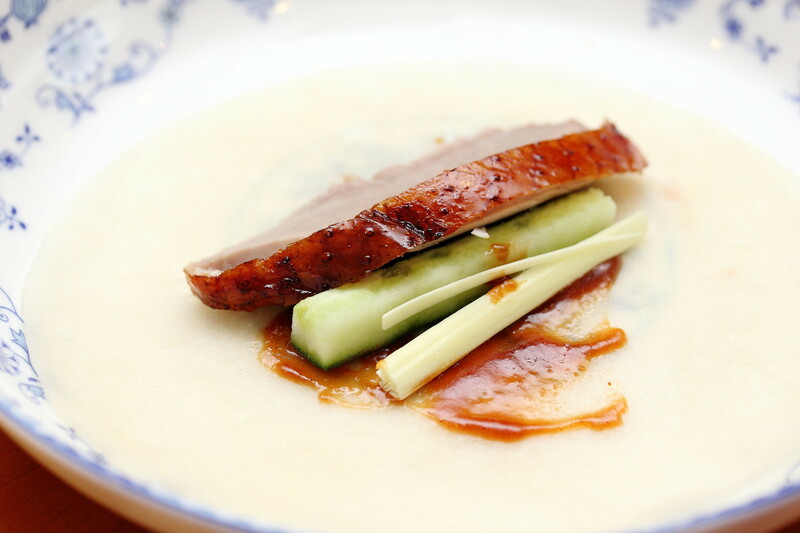 The sliced duck meat still with the thin layer of skin intact wrapped together with cucumber, spring onion and a sweet plum/hoison sauce in a thin crepe. This is probably my favourite way of appreciating the beautiful poultry with the succulent meat and the different layer of textures. Lastly the remaining of the Barbecued Peking Duck Roasted with Lychee Wood is chopped up and deep fried with dried chilli, roasted minced garlic and capsicum pepper fine salt. An extra $10 for this servicing. 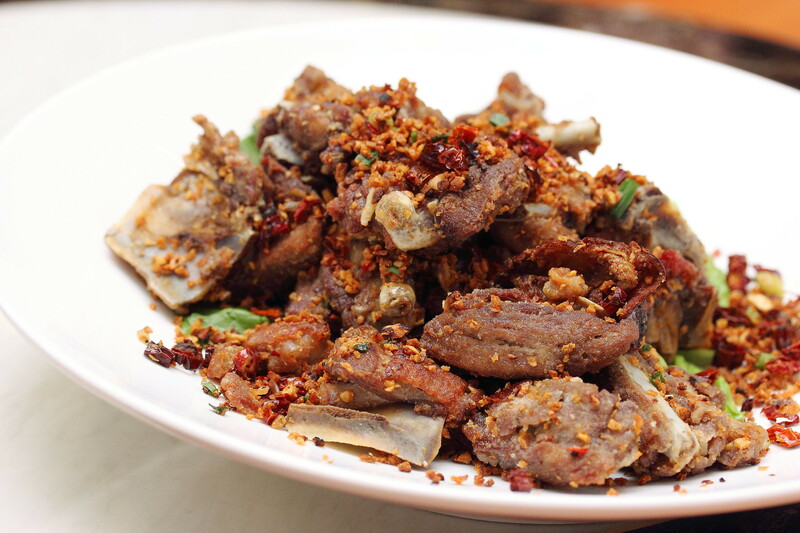 Due to the deep frying, the meat was dryer and tougher but the aroma of the dried chilli, roasted minced garlic and capsicm pepper fine salt made it very tasty. A perfect dish to go with a bottle of beer. 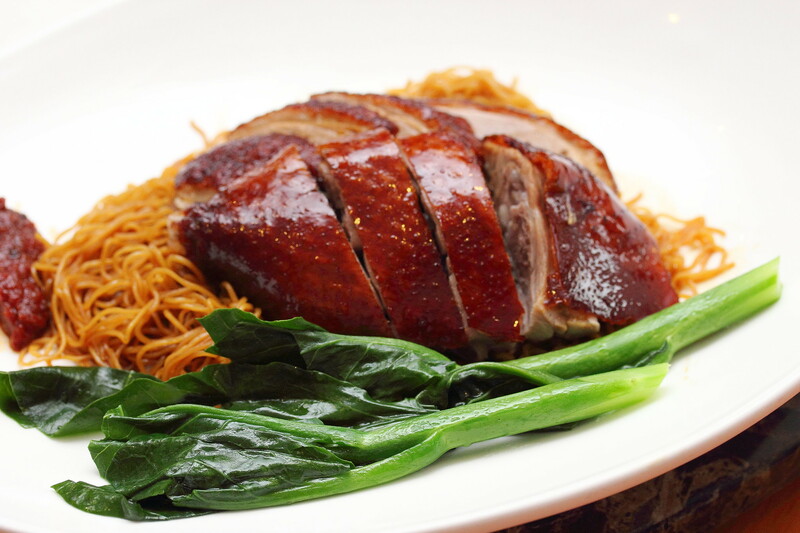 Besides the signature Barbecued Peking Duck Roasted with Lychee Wood, Restaurant HOME (家) offers a good selection of cooked food on the menu too. 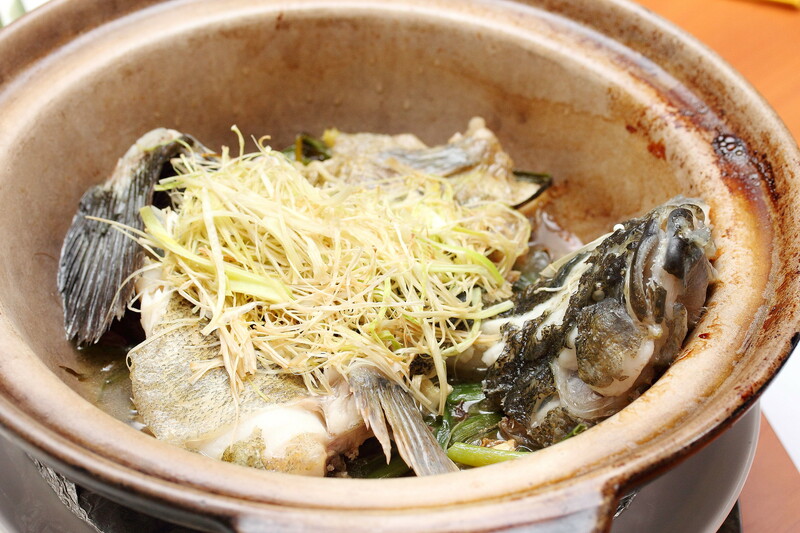 A worthy dish to try is the Baked Marble Goby in Claypot ($9/100gram) with Chef Tan's in house recipe. The fish was cooked to perfection with lemon grass, galangal, spring onions and Chinese shaoxin wine. The flavours did not overpowered the taste but instead complemented the natural sweetness of the tender and moist fish. 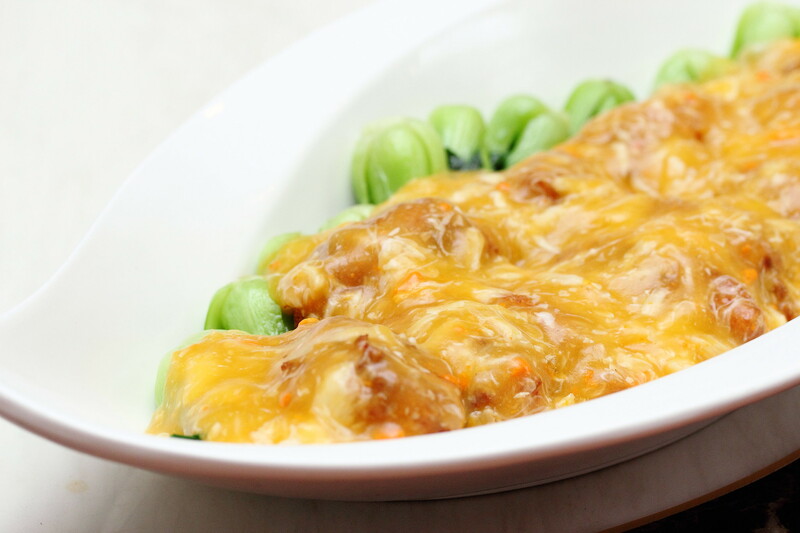 The Homemade Egg Beancurd in Pi Pa Style ($36) is another delectable offering on the menu. The homemade egg beancurd with shrimp paste, crab meat and roe is a bit grainy but I actually enjoyed the roughness in texture. I am not complaining as it is not common to get freshly made beancurd from scratch nowadays with many restaurants resorting to getting it from factory made ones. 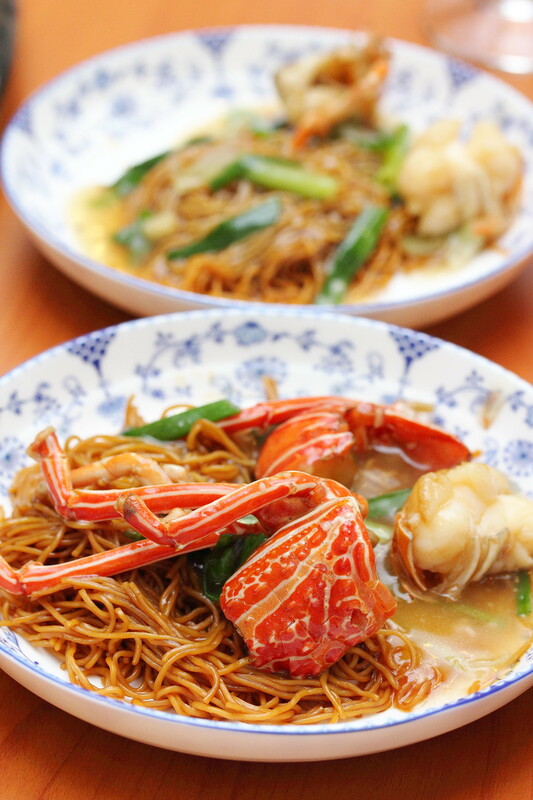 Another dish on the menu that caught my attention is the Stewed Golden Noodles with Lobster and Spring Onions wrapped in O Ba Leave ($12.50/100gram). The noodles and the lobster are served separately. 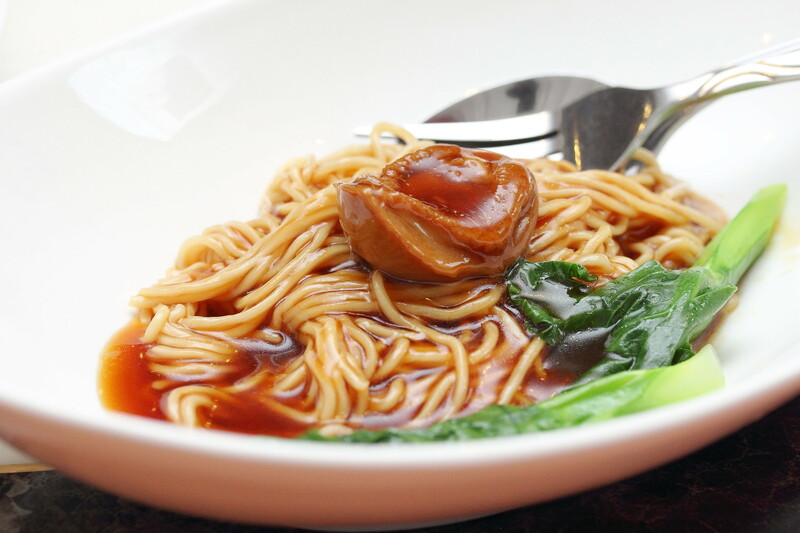 The egg noodle is specially made to Chef's specifications which has a nice springy texture sort of like those you get from wanton mee stall. 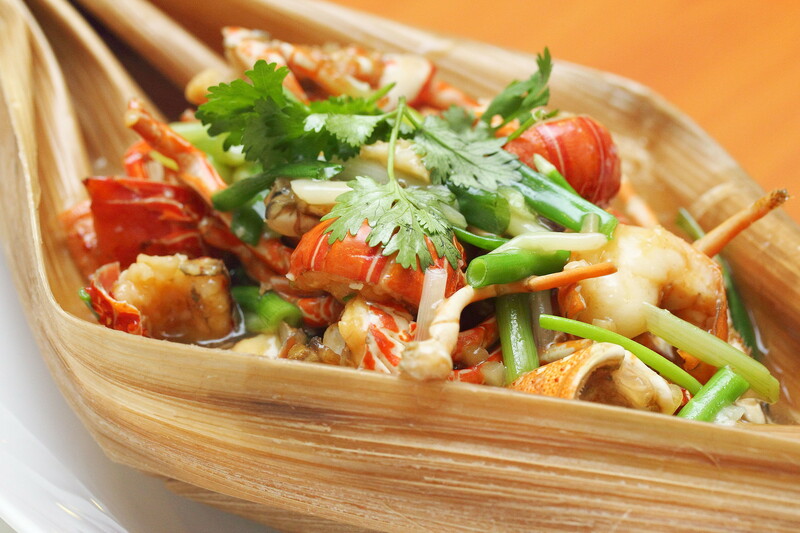 Restaurant HOME (家) is currently having a lunch promotion with a 3 course meal ranging from $20 to $26 per person). It comes with a Soup of the Day, a Noodle Dish and a Dessert. For our soup of the day, we tried the Old Cucumber Soup which was comforting and nutritious. 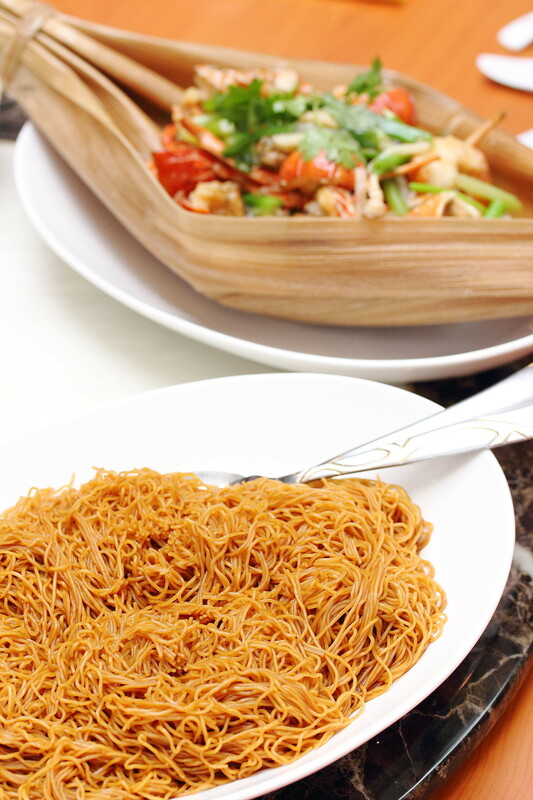 For the noodle main of the 3 course set meal, there is a variety of selections. We tried the Homemade Ramen with 8 Head Quality Amidori Abalone ($26), Crispy Roast Pork with Homemade Yellow Noodle ($24) and Barbecued Duck with Lychee Wood served with Homemade Yellow Noodle ($24). The ramen noodle for the Homemade Ramen with 8 Head Quality Amidori Abalone has a softer texture compared to the yellow noodle but the sauce made the whole dish slurping good. 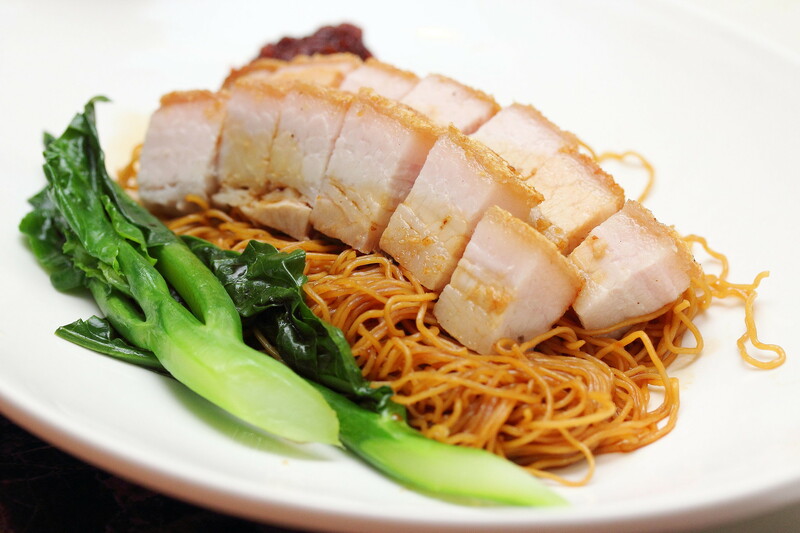 Both the Crispy Roast Pork and Barbecued Duck with Lychee Wood used the same noodle served for the Lobster Noodle dish. The roasted pork belly may look kind of pale in colour but we were quite surprised by the crispy skin. It may not have that charred and smokiness but overall still a decent main. 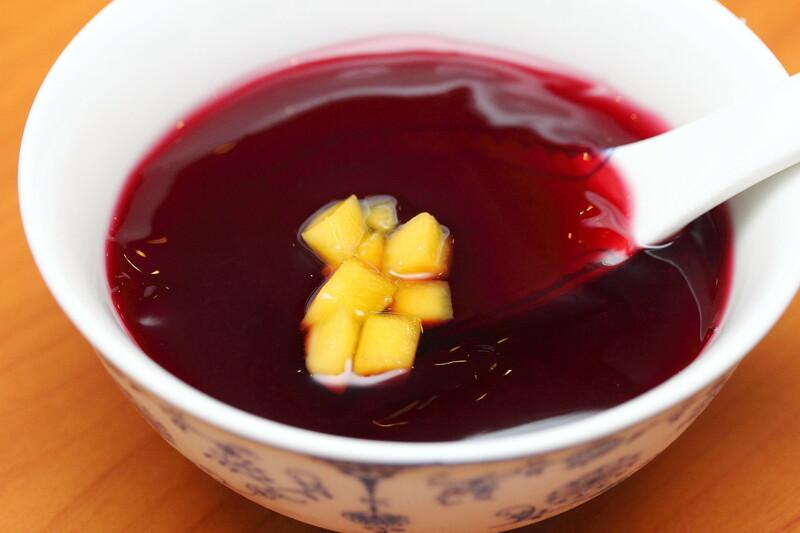 Finished the 3 course lunch set with the Chilled Rosella Flower Jelly with Diced Mango. The dessert comes with a bit of sourish sweetness which is really refreshing. 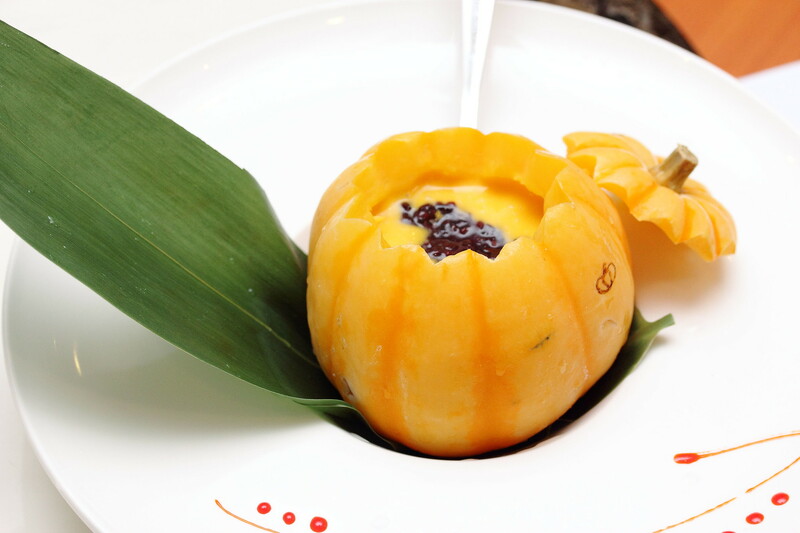 Chef Tan also treated us to an addition dessert in the Chilled Japanese Pumpkin Puree with Black Glutinous Rice. The subtle sweetness of the pumpkin puree and the black glutinous rice worked for me. I will gladly order this dessert in my next visit. Chef Tan Yong Hua will be taking part in this year Ultimate Hawker Fest 2014. He will be preparing the Barbecued Peking Duck Rice with Lychee Wood to delight your palate. 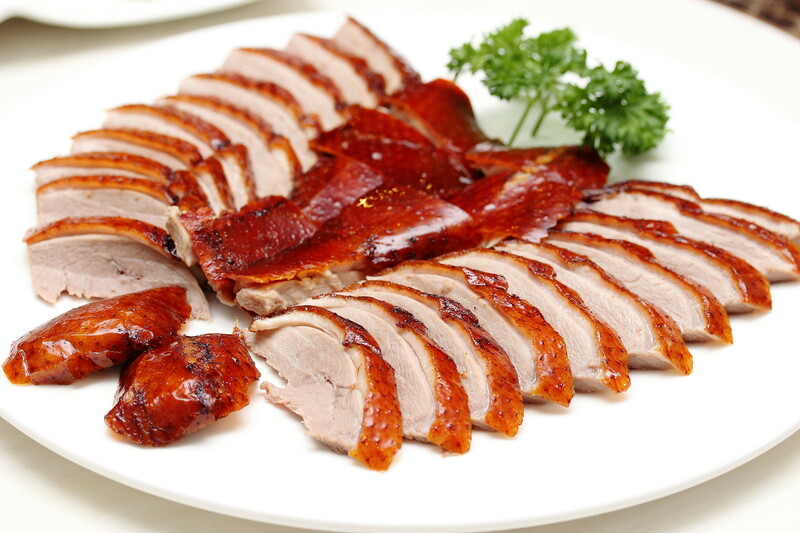 Do drop by his stallto try the delicious barbecued peking duck.